Planning to check out the many amazing things to do in Mexico? 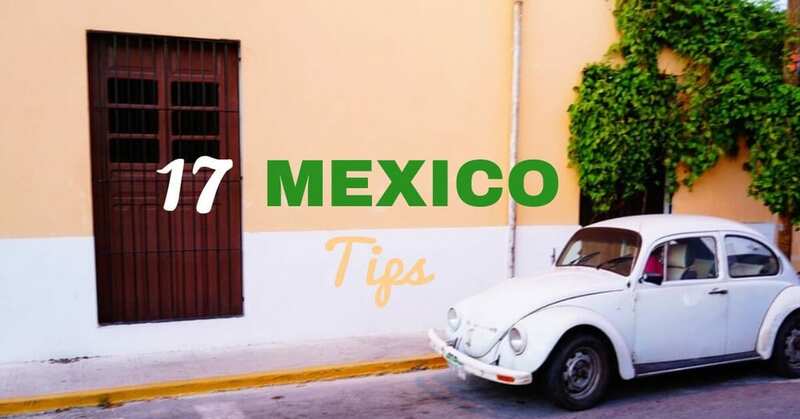 Don’t go without reading these 17 insanely practical Mexico travel tips, because there are a few things you need to know before traveling to Mexico (like whether you really need Mexico travel insurance, for instance). After over six months living and traveling in Mexico, I’ve learned a thing or two the hard way – and I’ve put together my best tips for traveling to Mexico so that you don’t have to make the same mistakes! These 17 Mexico travel tips cover some practical information about visiting Mexico that you may not hear elsewhere – from how to get around to how to use the bathroom without making a fool out of yourself! Oh, and before you pack your bag, be sure you read our #16 tip for traveling to Mexico! So, gentlemen, if you see a door marked with an “M,” do NOT assume that it is the men’s room. Instead, look for a door marked with an “H” (for “hombres”) or a “C” (for “caballeros”). It seems like a simple enough thing, but going into the restroom marked “M” is almost habitual for English-speaking men, and so this tip still trips me up once in awhile – at least three different times I’ve rather embarrassingly found myself barging into the wrong restroom! Tip #2: You’ll Get a Paper Slip Upon Entering Mexico – Don’t Lose It! The first thing that will happen officially arrive in Mexico is an immigration officer handing you back your stamped passport. But pay attention because there is something else hidden inside your passport. Most visitors to Mexico will fill out a little section at the end of the immigration form which is actually on break-away paper. The immigration officer will tear it off and stick it in your passport. Hold on to it because you’ll be asked for it when you leave the country (or risk paying a fine)! This is such an important thing to know before traveling to Mexico, so don’t forget it! 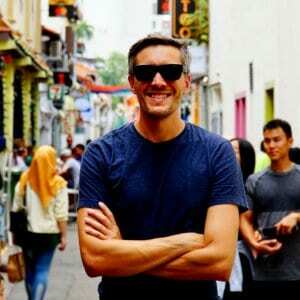 PS – If you still need to book your flight to Mexico, check out my quick guide to how to find cheap international flights. You won’t find this on the beaches! This is one of the most important tips for traveling to Mexico. Look, there is nothing wrong with enjoying the awesome beaches of Tulum and Mexico’s Riviera Maya. But, with that said, so many visitors simply stick to the highly-touristed coastal areas and miss a lot of what Mexico has to offer! 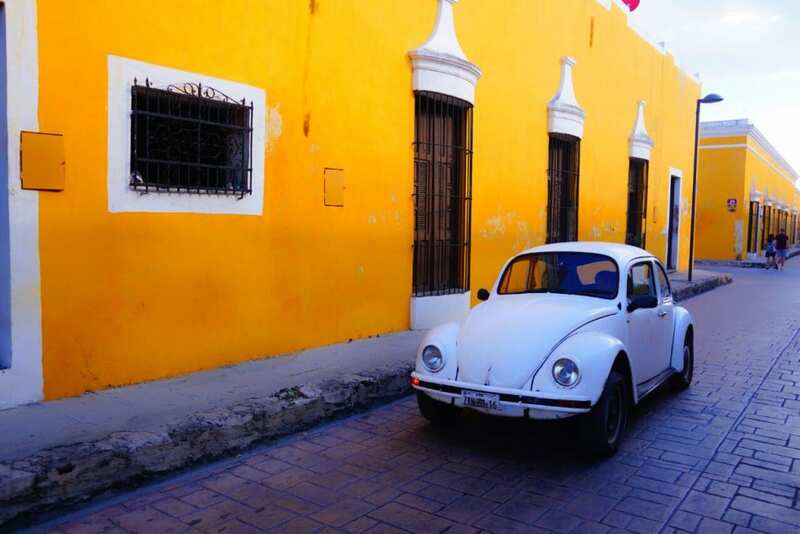 That’s why one of the most important travel tips for Mexico is this: get off the travel lemming path and explore Mexico’s towns (here’s a guide to Valladolid Mexico, one of my favorites), mountains, countryside, and quiet fishing villages (I recommend Celestun). It’s a big country and there is a LOT more to it than just the beaches. Mexico is a much bigger country than most realize, so getting around can be a challenge. And while flights are often a decent value option, don’t forget about buses. It can be a great and affordable way to travel, plus you get to see Mexico’s gorgeous countryside. Mexico has a tiered bus system, with different classes of service offered at correspondingly higher prices. The higher classes are first (“primero”) and platinum (“platino”). The first class buses are nicer than most in the U.S., with comfortable seats and onboard restrooms. The platino buses, meanwhile, are worth a trip just to experience. Why? Well, the seats are equivalent to business class seats on an airline! Whether you’re just taking a short trip from Cancun to Valladolid, or a longer journey across Mexico, don’t feel shy about taking the buses here! Speaking of bathroom humor, there is another habit that many of you may have to break when visiting Mexico: flushing your toilet paper. You see, in most of Mexico, the pipes just aren’t built to handle the stuff. So the proper procedure is to toss it in the little waste bin that you’ll always find somewhere close to the throne. While some of the beach resorts and the nicer hotels in Mexico City may allow you to flush it away, most everywhere else it’s polite and proper to use the bin. I don’t know why, but a lot people seem to get it in their head that simply because many touristy places in Mexico will accept the U.S. Dollar, there is no need to acquire pesos. While it’s true that you can pay with dollars at many places in Mexico, it’s almost always a bad idea. Because the exchange rate you’ll get from the merchant is going to be deserving of a place in those waste bins along with your TP. A better option is to change dollars at the best rate you can find, but the best option is to acquire an ATM card that gives the interbank loan rate for foreign currency withdrawals (personally I use Charles Schwab). Or you can pay with a credit card that gives that same rate without foreign transaction fees. But, whatever you do, please please please pay with pesos. Unless you love giving money away, that is, in which case keep shelling out those dollars. Like most of Latin America, Mexico tends to run on a clock that’s a little fuzzy at times. So don’t assume that anything is going to start on time, that the person you’re meeting will be there promptly, or that the ride you’re taking is going to get there when promised. You’ll enjoy your Mexican vacation more if you embrace the local’s fluid concept of time. So whether you’re planning two weeks in Mexico, two days, or two months, just be sure you don’t schedule yourself too tightly …. and don’t stress when things take a bit longer than planned. Mexico has gotten a lot of negative attention on the safety front recently. And certainly it’s true that isolated parts of Mexico (which you were probably unlikely to visit anyway) have been plagued by a recent increase in cartel-associated violence. But, let’s be clear about one thing: traveling in most of Mexico is very safe. Millions of tourists visit Mexico every year, and violent incidents against tourists are actually very rare. Tourism is big business here and the government puts a lot of resources into ensuring the safety of visitors. Moreover, Mexicans are some of the most welcoming and friendly people on the planet – they aren’t out to get you! While I wouldn’t stress about experiencing crime while you are in Mexico, there are some risks that you are much more likely to encounter and should be prepared for. Namely, be sure you have health insurance that will cover you in case something happens. 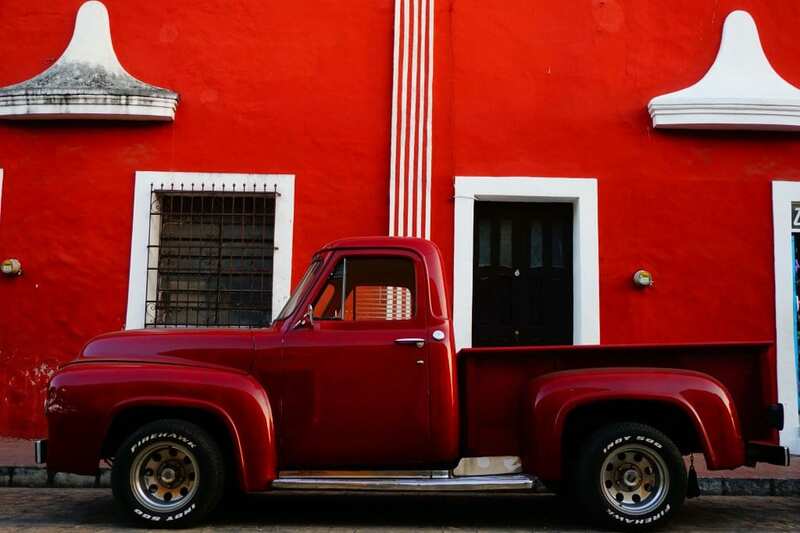 And, if you plan to drive in Mexico, be sure to have coverage for both liability and the rental. I personally bought travel insurance through World Nomads. But travel insurance may or may not be needed for you, so read my full guide to whether you need Mexico travel insurance. In parts of Mexico, especially the Yucatan peninsula, the limestone bedrock gives way in places to form caverns filled with natural underground water. 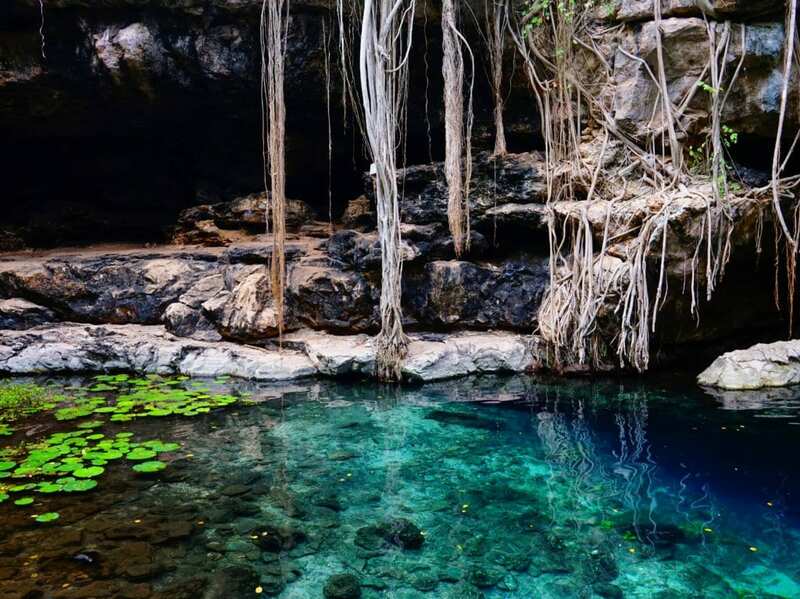 These “cenotes” make for some incredible swimming holes. Some are exposed above ground, while in others you’ll feel like you are in a cave. You can go swimming, snorkeling, and even diving in these cenotes. Swimming in a cenote is a uniquely Mexican experience and, if you’re visiting a part of the country that has them, you absolutely have to try it out! “Botanas” are basically snacks that are served between meals in many parts of Mexico. Think of them sort of like a more casual version of Spain’s tapas. In many Mexican cantinas, you will receive free botanas along with the purchase of alcoholic beverages. Often times, the quality and the quantity of the botanas they bring out will get better the more you order…. so drink up! Tip #12: Don’t Be Afraid to Take the Colectivos! This is one of my best money-saving tips for traveling to Mexico. They are shared minibuses or vans that are very common in the Yucatan and some other parts of Mexico (elsewhere, they are sometimes called “peseros”). And they are by far the cheapest and quickest form of public transportation available. For example, a ride from Playa del Carmen to Tulum costs only $2! If you want to learn how to take a colectivo, here’s a good guide. If you want to buy a bus or domestic air ticket through the internet, be prepared for the likelihood that your foreign credit card won’t be accepted. It’s super frustrating, and hopefully with the growth of pin and chip this will eventually get fixed, but in the meantime the only way to buy ADO tickets or many airline tickets is to either: 1) go to the station, or 2) reserve online and then go pay at your local OXXO convenience store (this same, method, by the way, is how locals pay their electricity bills here). You know how in the USA people hate Spirit Airlines? And how in Europe they hate EasyJet and Ryanair? Well, all of those airlines look like first-class carriers compared to Mexico’s budget airline, VivaAerobus. VivaAerobus is the king of nickel-and-diming customers. Want to pay for your flight with a credit card? Yep, that’ll be an extra $25. Want to take carry on luggage with you? Be prepared to weigh it precisely before leaving or face huge fees at the gate (yes, they weight every single item). Expect your flight to be on time? Forget about it. Need help from customer service? Hahahahahaha (or, as we say in Mexico, “jajajajajaja”). Don’t be tempted by VivaAerobus’s fares: it’s almost always worth it to pay for another airline in Mexico. 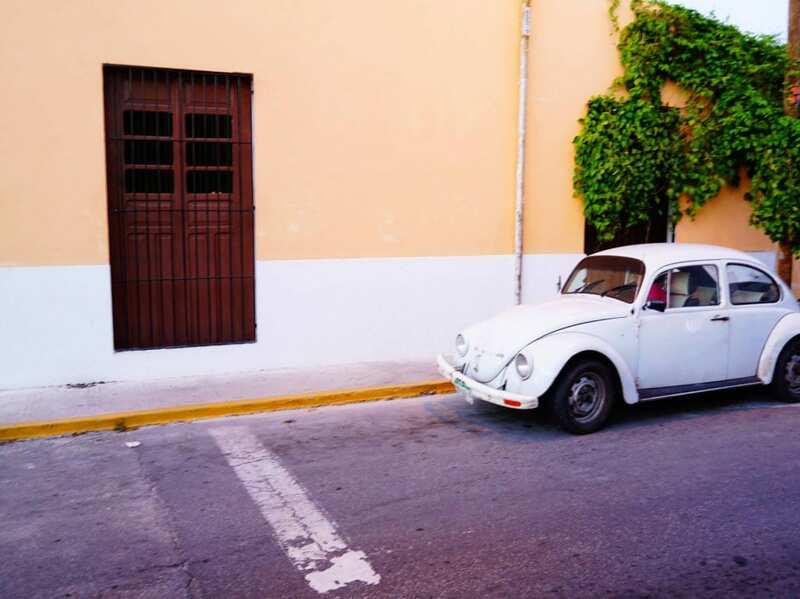 Here’s a travel tip for Mexico: rental cars aren’t really $1 a day! Speaking of deals that seem too good to be true, if you try to rent a car in Mexico, you’ll likely be tempted with some crazy cheap rental car prices (it’s not uncommon to see rental cars listed online for as low as $1/day). As soon as you show up to the counter, the agents will insist you have to have their massively overpriced insurance (even if you already have travel insurance for Mexico). The best way to avoid this scam? Call or email in advance to get the final price including everything. Tip #16: Don’t Assume The Weather Will Be Hot (You Might Need a Jacket)! 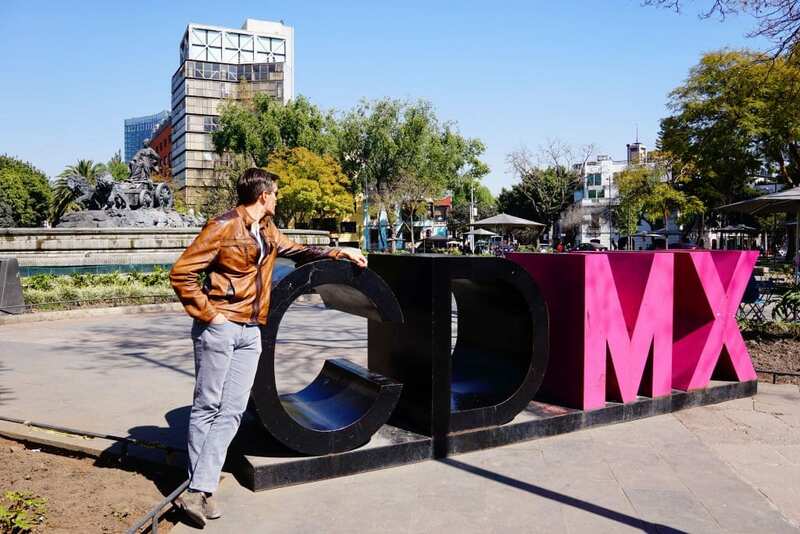 It’s often jacket weather in Mexico City! Yes, Mexico’s latitude means that much of the country is warm during most of the year. But some of Mexico’s more popular destinations (like Mexico City and Oaxaca) sit at high altitude and can get surprisingly chilly, especially during the winter and especially at night. That’s why one of my top Mexico travel tips is to not assume that just because you are going to Mexico that you can get away with packing only shorts and swimwear! My final tip for traveling to Mexico is … Don’t fall into the trap of thinking that Mexico has a single culture or that you’ve seen the country just because you spent a weekend in Cancun or Cabo. Mexico is an ENORMOUS country with lots to see. It has over 128 million people. That’s more than the entire populations of the U.K, Canada, and Australia – combined. And Mexico spans almost 2 million square kilometers – which is about half the size of the entire European Union. Mexico has mountains, deserts, cities, beaches, jungles, canyons, plains, and every sort of landscape you can imagine. 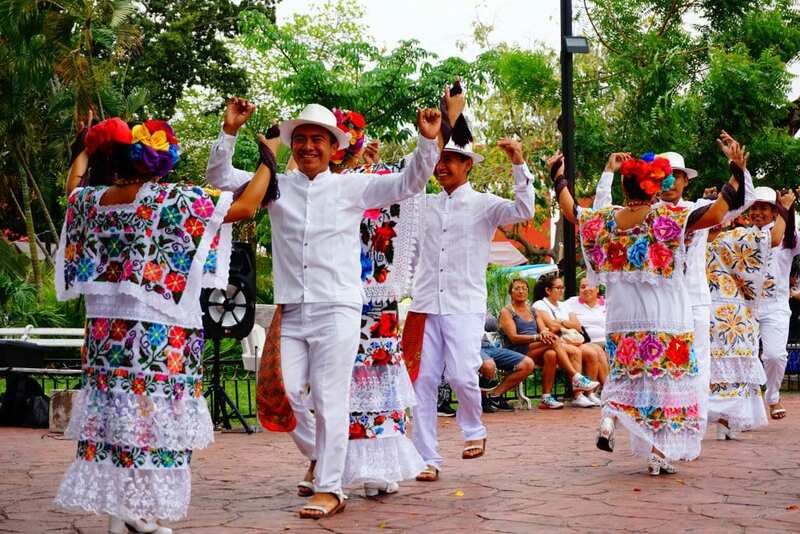 Each part of the country has its own culture, food, and unique vibe. I’ve been to Mexico a half dozen times, and spent well over six months there in total – and I still feel like I have barely scratched the surface! I hope you enjoyed these Mexico travel tips! If you have any questions or tips of your own, scroll down and leave me a comment. 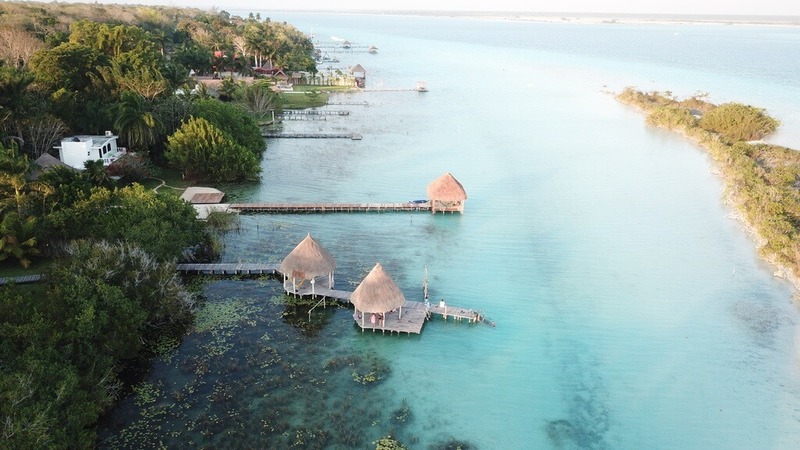 Oh, and before you leave, be sure to read this list of 33 can’t-miss things to do in Mexico! Also, be sure to check out my article on 10 AWESOME Reasons to Visit Tulum! 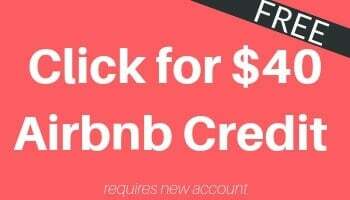 And if you need accommodation in Mexico, sign up for Airbnb with this referral code and you’ll get $40 off your first booking! 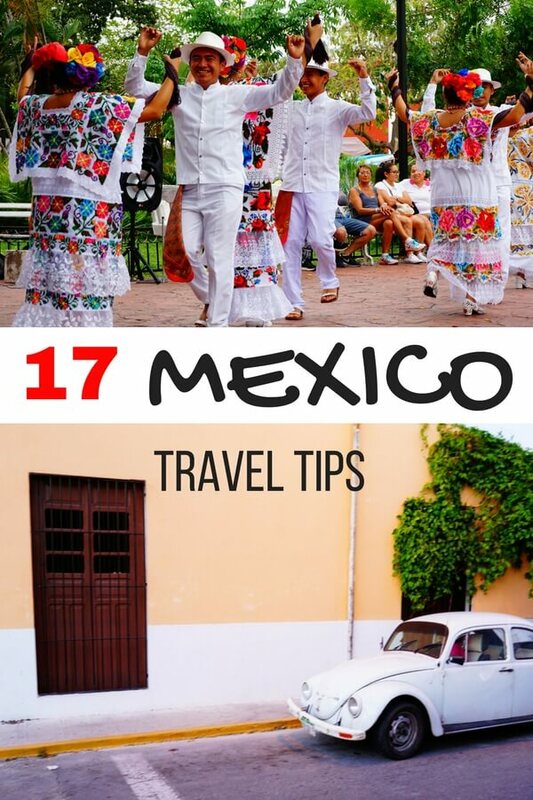 Pin “17 Mexico Travel Tips” on Pinterest!